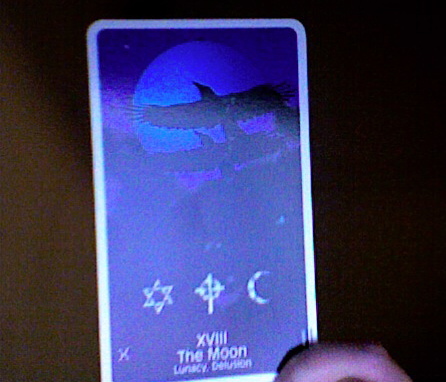 The moon in Tarot can cover so many things. Once again, this is from the Crow Magic deck. Ripples will be felt for the rest of the month from this.